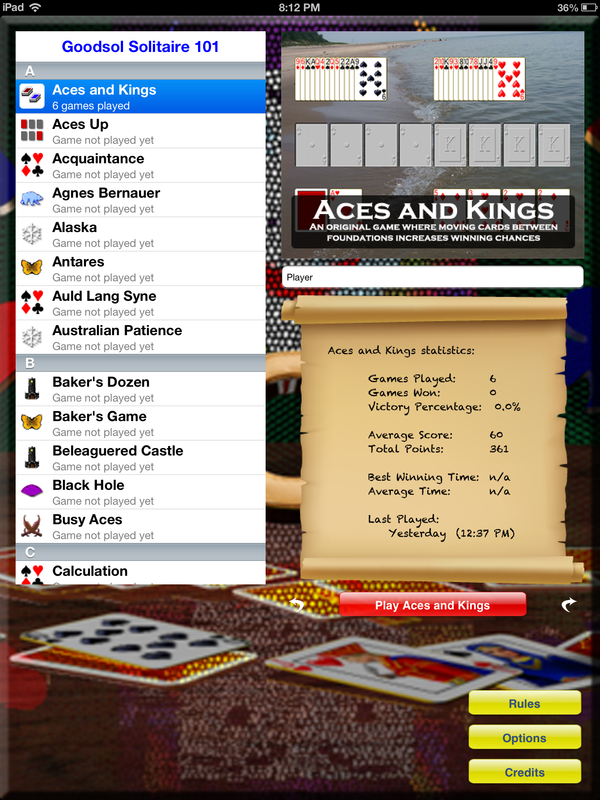 Also includes many games invented by Goodsol, such as Demons and Thieves, Lady Jane, and Aces and Kings. 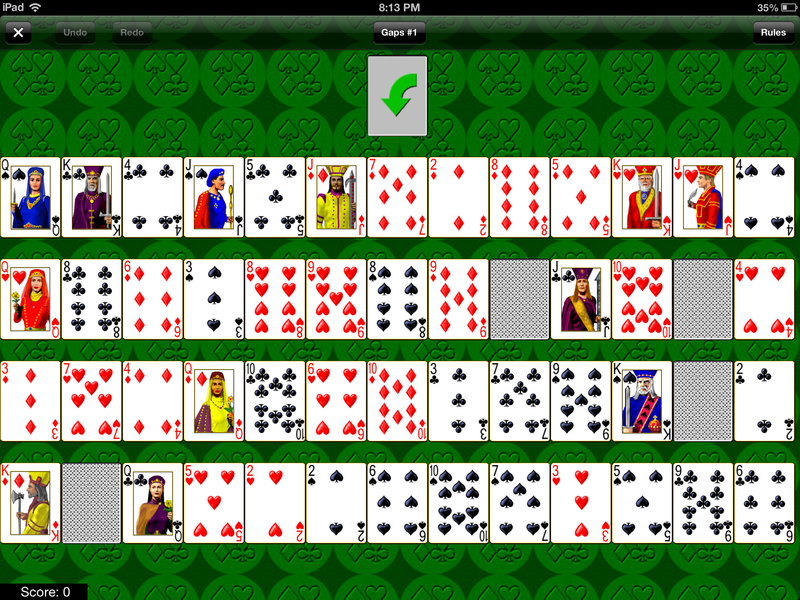 Easy to play: just drag the cards or tap them to move them quickly. AutoPlay/QuickMove: option can automatically play cards to the foundations for you. 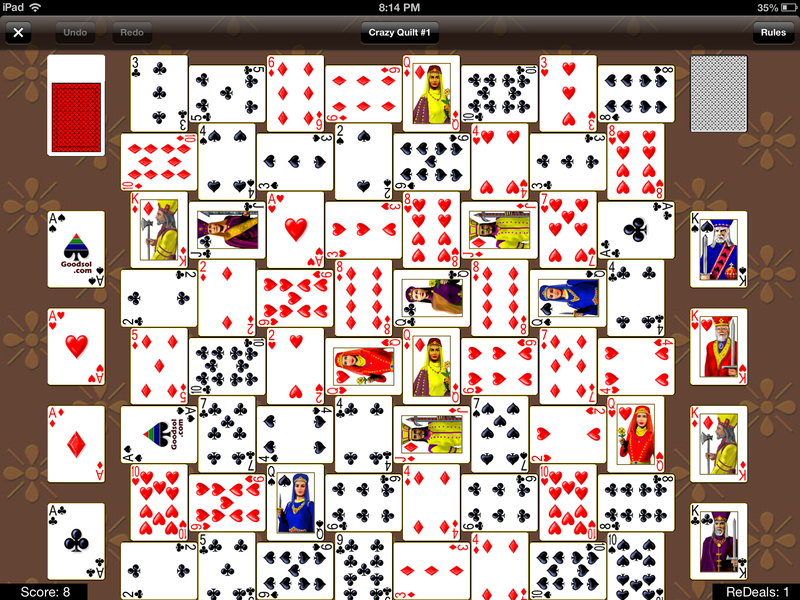 Dynamic Card Sizing: pinch to make the cards smaller or spread to make them bigger. It automatically adjusts card size for portrait or landscape. Tap and hold on a pile to get more information about what cards can be played there. Tap the game name button to do a new game, play the next game number, or see your statistics. Tap the Rules button to see the rules of each game. Over 2 billion starting positions for each game. 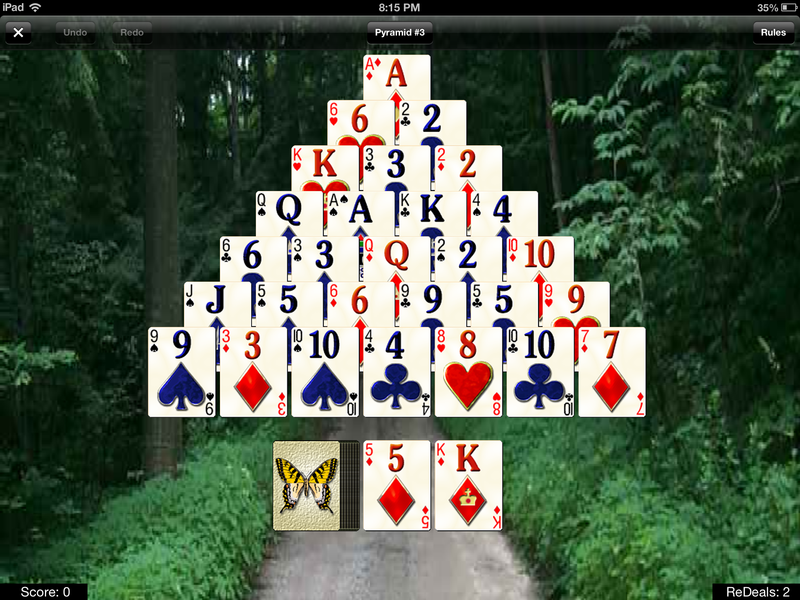 Game numbers compatible with the Mac version, FreeCell game numbers compatible with Windows FreeCell. Start with game #1, then when you win or do a new game, you play game #2 and so on. You can also select a game number to play any game number you wish. If you play a game number you have played before and play that game number again, your second score in that game number will *replace* your previous score on that game number. 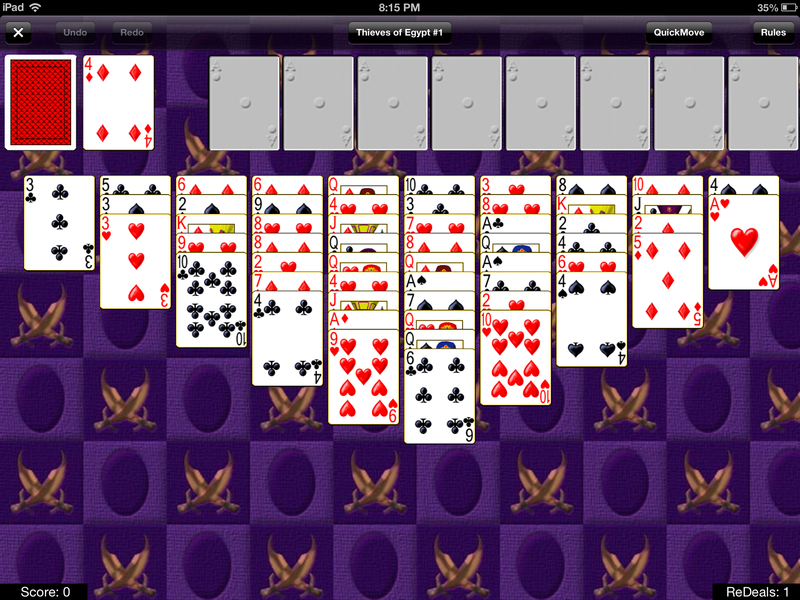 Goodsol Solitaire 101 - March 21, 2017 - version 1.5 released. Goodsol Solitaire 101 - September 27, 2013 - version 1.1 released.